The vast and complex field of engineering involves the design and construction of a variety of objects from automobiles and medical instruments to bridges and buildings. Engineering is a popular academic discipline, but due to its intensive study, it can often become very expensive to complete an undergraduate or graduate degree. Students often cannot work while in school and some concentrations may require additional academic terms. A variety of financial aid options are available for individuals pursuing engineering programs in all concentrations. The National SMART Grant is a federal grant offered to individuals pursuing undergraduate or graduate programs in math, engineering, technology, and science. Applicants must be enrolled in an approved program, maintain a GPA of 3.0, and able to participate in summer internships at DoD laboratories. The grant program provides full tuition and education related fees, paid internships, health insurance reimbursement, book allowance, cash award, and employment placement after completion of the program. Students must apply by December 15 for the following year. The application materials are available online at smart.asee.org/apply. The National Science Foundation offers scholarships in mathematics, science, engineering, and technology, to students who demonstrate financial need and intend on pursuing a career in related areas. The program provides awards to institutions of higher learning and students must apply through their college or university. The Authority for Total Cost Management International Competitive Scholarship is granted to students who are pursuing full-time study in engineering, computer sciences, business, construction management, building construction, information technology, quantity surveying, or other related field. The award amounts vary from $2,000 to $8,000 and the specific amount will be based on individual achievements. The program accepts applications between January 1 and February 14 annually and individuals can apply by visiting the AACEI website: aacei.org/awards/scholarships/. The Association for Facilities Engineering Cedar Valley Chapter #132 Scholarship is available to students enrolled in any engineering program on a full or part-time basis at an accredited college or university in the state of Iowa. Applicants must also be employed in the facilities management or facilities maintenance industry. Qualifications include a resident of Iowa and a GPA of 2.5 or above. Students interested in this scholarship should see their guidance counselor for instructions on how to apply. The Society of Automotive Engineers Detroit Section Technical Scholarship is offered to the children and grandchild of individuals who are current members of the Detroit Section. It strives to promote careers in engineering or science. Applicants must demonstrate financial need, have a GPA of 3.0 or higher, and enroll in an engineering or science program at an institution accredited by the ABET. Two scholarships of $5,000 are awarded every year. Applicants must apply by January 15 and the application process is available online at: students.sae.org/awdscholar/scholarships/detroit/. American Society of Mechanical Engineers-ASME Auxiliary FIRST Clarke Scholarships are awarded to seniors in high school who are active on a FIRST FTC or FIRST FRC team. A member of the ASME must nominate applicants. The program awards ten $5,000 scholarships per year and is intended for a recipient’s first year of study in mechanical engineering or mechanical engineering technology. Students must apply by March 15 and the application form is available at asme.org. The Ralph K. Hillquist Honorary SAE Scholarship is offered to individuals with a declared major in mechanical engineering or related discipline. Qualifications include 3.0 GPA and enrollment on a full-time basis at an ABET-accredited institution of higher learning. One $1,000 scholarship is awarded on a bi-annually basis at the SAE Noise and Vibration Conference. Individuals can apply by visiting the SAE International website at: students.sae.org. The Composite Panel Association offers the Robert E. Dougherty Educational Foundation Scholarship Award. Applicants are required to be nominated by a member of the association and be graduate students or undergraduate juniors or seniors pursuing a degree in mechanical engineering, industrial engineering, chemistry, wood science, wood technology, or forest products. The award amount is $5,000 per year. Individuals can obtain additional information on how to apply at the Composite Panel Association at compositepanel.org/about-cpa/red-education-foundation.html. The University of Wisconsin-Platteville offers the Minotte Perseverance Scholarship to students who are majoring in mechanical or industrial engineering. Applicants must have a minimum of 26 credits and preference is given to individuals who are the first in their family to attend college. The application deadline is March 1 and students can obtain application materials from the UW website at: uwplatt.edu/finaid/scholarships.html. The Association of State Dam Safety Officials Undergraduate Scholarship is offered to undergraduate students in their senior year in an accredited civil engineering program or related field of study. Students must show a genuine interest in leading a career in hydrology, hydraulics, or other closely associated field related to dam design and construction. Applicants must have a cumulative GPA of at least a 2.5 and submit a typed essay. Students can apply online at the association’s website: damsafety.org. The New England Water Works Association Elson T. Killiam Scholarship is offered to members of the association and their families. The program awards $1,500 every year to a student pursuing a major in civil engineering, environmental engineering, science, or business. The scholarship deadline is May 1 and individuals can visit the NEWWA website to download the application form: newwa.org. The American Society of Civil Engineers Y.C. Yang Civil Engineering Scholarship is awarded to juniors or seniors in a civil engineering program at an ABET-accredited institution. Applicants must be members of the ASCE Society and include a personal statement of why the award should be offered to the applicant, and a comprehensive financial plan, and at least two letters of recommendation. The deadline is February 9 and individuals can download the application form at the ASCE website asce.org. The American Welding Society Arsham Amirikian Engineering Scholarship is offered to students planning on pursuing a career in applying welding in the civil and structural engineering field. Students must be pursuing at least a bachelor’s degree in civil engineering or welding related field. Qualifications include maintenance of at least a 3.0 GPA, proof of financial need, and currently attending or planning on attending an accredited engineering school. The program offers one $2,500 award every year. The deadline is February 15 and applicants can apply at the American Welding Society website: aws.org. The Institute of Electrical and Electronics Engineers Charles LeGeyt Fortescue Graduate Scholarship is awarded to individuals pursuing a master’s degree in electrical engineering. Applicants must have earned a bachelor’s degree from an accredited engineering school. The scholarship is only awarded for the first year of full-time graduate study. The deadline for the scholarship is November 15 and individuals can apply by visiting the IEEE website: ieee.org/about/awards/fortescue.html. The Luigi and Lugia Franco Scholarship is available for students pursuing electrical engineering programs at San Francisco State University. Students must have a minimum GPA of 2.5, submit an essay of why the applicant should be considered for the scholarship, and provide two letters of recommendation. The application deadline varies by year in March and April and students can apply by visiting San Francisco State University School of Engineering website at engineering.sfsu.edu. The Cody Feist Memorial Scholarship is awarded to North Dakota State University students who are in their junior or senior year pursuing a degree in electrical engineering. Applicants must be graduates of a high school in North Dakota and individuals from Strasburg, Leeds, and Minnewaukan will receive first preference. The amount of award and application deadlines varies. Students can apply at the North Dakota Community Foundation website at ndcf.net. The Joseph W. and Rose V. Belak Memorial Scholarship is offered to electrical engineering students at Virginia Tech. Students must be enrolled on a full-time basis and the scholarship is based on both financial need and academic merit. Recipients must be residents of Virginia. Students must submit a standard College of Engineering Scholarship Application by March 1 every year and the application is available at ece.vt.edu. The American Institute of Aeronautics and Astronautics Foundation Undergraduate Scholarship to students pursuing education programs related to aerospace engineering and science. Applicants must be AIAA members, enrolled full-time, and completed a minimum of one academic term on a full-time basis. The minimum GPA is 3.3. Students can apply for the scholarship from September through January for the following academic year. Applications can be submitted online by visiting the AIAA website: https://www.aiaa.org. The David Alan Quick Scholarship is granted to a junior or senior in college pursuing a degree in aerospace or aeronautical engineering at an accredited institution of higher learning. The award is sponsored by the Experimental Aircraft Associates. The award amount is $1,000. Applicants can apply at the EAA website: eaa.org. The General James H. Doolittle Scholarship is awarded to students pursuing a degree in aerospace science or aeronautical engineering. Applicants must be pursuing a bachelor’s or advanced degree, have completed at least 52 hours of college coursework, have a GPA of 2.75 or higher, demonstrate financial need, submit two letters of recommendation, and submit an essay highlighting the reasons for pursuing a degree in the field. The maximum amount of the award is $5,000. The deadline is May 6 and applications are required to be forwarded to the Communities Foundation of Texas. Students can apply at the Communities Foundation of Texas website at: cftexas.org. The Walter Beall Scholarship is granted to students pursuing degrees in general engineering, aviation, aeronautical engineering, or related fields. The awards are based on financial need, academic merit, and involvement in the community. Applicants must be members of the Fleet Reserve Association or spouses, children, or grandchildren of members. The amount of the award varies from $2,000 to $5,000 per year. The application deadline is April 15 and individuals can apply by visiting the The Walter Beall Scholarship Foundation website at walterbeallscholarship.org. The Vertical Flight Foundation Scholarship is awarded to undergraduate and graduate students who intend to pursue an engineering career in vertical flight. The scholarship is based on merit and the value ranges from $1,000 to $5,000. Applicants must be full-time students at an accredited engineering school, submit a resume, provide a narrative, and include at least one letter of recommendation. The application deadline is February 1 for the following academic year and students can apply by visiting the VFF website at: vtol.org. The Department of Energy Computational Science Graduate Fellowship provides opportunities and benefits to students pursuing doctoral degrees in various fields including computer sciences and engineering. Applicants must be full-time students pursuing a doctoral degree and senior undergraduate and first-year graduate students working toward a degree in engineering and physical, computer, mathematical, or life sciences can apply. Throughout the fellowship period, students must continue full-time enrollment and conduct research areas of interest to the department. The financial benefits include a yearly salary of $36,000, full tuition and fees, $5,000 academic allowance for the first year and $1,000 for every following year, and the ability to renew the fellowship up to four years. Students can apply at the DOE website: https://www.krellinst.org/csgf/how-apply. 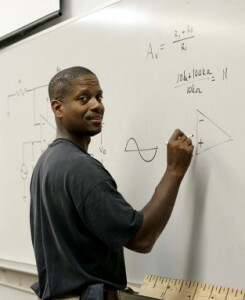 The Stokes Educational Scholarship Program is offered by the National Security Agency to high school seniors planning to major in computer science or computer/electrical engineering. Recipients are required to attend college on a full-time basis and work during the summer at NSA for 12 weeks in related areas. Students must maintain at least a 3.0 GPA. After completion of the their program, students must work at NSA for at least one and a half times the length of their education program. The program provides full tuition and fees, textbook reimbursement, housing and travel expenses, year-round salary, health and life insurance, retirement, and continued employment after graduation. The application deadline is November 15 and individuals can apply at the NSA website: nsa.gov. The Computer Science and Computer Engineering Academic Scholarship is offered by Study.com to students pursuing a degree in a computer science or computer engineering discipline. Applicants must be enrolled in an associate degree program or higher from an accredited college or university and have at least 30 semester hours to finish. Recipients must consent to providing a digital photograph to Education-Portal. The scholarship offers one $1,000 award every year. The deadline is April 1 and individuals can apply by visiting the Education-Portal website at Study.com. The Energy Telecommunications and Electrical Association offers the Wayne V Black Memorial Scholarship Award. Individuals must be currently enrolled in bachelor’s degree program on a full-time basis pursuing a degree in computer science, engineering or engineering technology, political science, pre-law, or telecommunications/information technology. A biography and essay are required. The amount of the award is $5,000. The deadline for the scholarship is March 15 and individuals can obtain the application at the ENTELEC website: entelec.org/resources/scholarship/. The Tekmark Global Solutions Scholarship Fund offers three scholarships to students planning on attending Ohio State University, Rider University, or Rutgers University. Applicants must in an incoming freshman, intend to enroll full-time, have a high school GPA of a 3.0 or higher, and planning on working toward a bachelor’s degree in computer science, engineering/engineering technology, or telecommunications/information technology. Each scholarship is worth $1,000 and awarded to one student at all three universities. The application deadline is May 1 and individuals can apply at the TGS website: tekmarkinc.com. The American Nuclear Society Undergraduate Scholarship is available to students who have finished at least one year in nuclear engineering, nuclear science, or other closely related field. The scholarship program offers a maximum of four scholarships every year for individuals who have completed one year of study and 21 scholarships for students who have completed two or more years. The deadline to apply for this scholarship is February 1 every year and applicants can apply for these scholarships by filling out application forms on the American Nuclear Society website: new.ans.org/honors/scholarships/. The Edward S. Roth Manufacturing Engineering Scholarship is offered to individuals who are graduating from high school or current undergraduate or graduate students enrolled full-time in a bachelor’s or master’s degree in manufacturing for an institution accredited by the Accreditation Board for Engineering and Technology, Inc. Qualifications include a minimum GPA of 3.0 and preference will be given to individuals who demonstrate financial need, are of minority classification, and those participating in a co-op program. The scholarship program is sponsored by the SME Education Foundation and applicants can apply by visiting their website smeef.org/Scholarships/. The James Schalk Memorial Association of Conservation Engineers Scholarship is granted to individuals to promote the ongoing study and education necessary for conservation of the planet’s natural and renewable resources. The scholarship is available to junior or senior students enrolled in accredited program in engineering, ecology, agriculture, or natural science. Students must be enrolled full-time and submit a letter of recommendation and a technical essay on a conservation topic. The award amount is $1,000 and individuals can apply by visiting the Association of Conservation Engineers website conservationengineers.org/awards.html. The Marine Technology Society offers the Charles H. Bussman Undergraduate Scholarship to individuals who are pursuing or planning to pursue degree programs in marine engineering, marine science, or marine technology. All high school and college students who are interested in remotely operated vehicles are also encouraged to apply. The award amount is $2,500 each year. The application deadline is April 16 and students can apply by visiting the Marine Technology website at: https://www.mtsociety.org/education/scholarships.aspx. The Society of Women Engineers offers various scholarships to support women who are interested in pursuing undergraduate and graduate programs in engineering, engineering technology, and computer science. An example of a SWE scholarship is the B.J. Harrod Scholarship that is available to women pursuing various types of engineering disciplines. Applicants must have a GPA of 3.5 or higher and enrolled in an engineering program accredited by ABET. The award amount is $1,000 and the society generally awards two scholarships a year. Students must apply by May 15 and application materials are available at the SWE website: https://scholarships.swe.org/applications/login.asp. The Society of Hispanic Professional Engineers is a national organization of professional engineers to serve as Hispanic role models. It offers scholarships to Hispanic students pursuing degree programs in engineering, science, and mathematics. General Scholarships are examples of financial aid program the SHPE offers. These scholarships are both based on need and merit and awarded to high school seniors, undergraduate students, and graduate students. The award amounts vary from $1,000 to $3,000. Applicants must be of Hispanic descent, currently accepted or attending an accredited college or university on a full-time basis, have a minimum GPA of 3.0, and pursuing their first bachelor’s master’s, or doctorate degree. Individuals can apply at the SHPE website: shpefoundation.org/scholarships/ahetems-general-scholarships/. The National Society of Black Engineers strives to increase the amount of excellent black engineers to successfully make a difference. It offers a wide range of scholarships to high school seniors, undergraduate and graduate students, and technical professional members. All recipients must be active paid members of the society. To apply for scholarships individuals can login into their NSBE accounts to complete the applications: nsbe.org/Programs/Scholarships.aspx. An example of a scholarship offered by NSBE is the Fulfilling the Legacy Scholarship and Delphi Corporation contributes to the scholarship fund. The program awards 10 scholarships per year at $1,000 a piece. The application deadline is December 2. The Woods Hole Undergraduate Fellowships for Minorities are offered by Woods Hole Oceanographic Institution. The fellowships are offered to minority undergraduates enrolled at a college or university and have complete a minimum of one year of study and have an interest in engineering, mathematics, marine policy, or physical or natural sciences. The fellowships strive to introduce students into meaningful research and they are awarded for a 10 or 12-week period during the summer or a semester during the academic year. The deadline to apply is February 15 and individuals can apply by visiting the Woods Hold Oceanographic Institution website at whoi.edu/page.do?pid=9381. The Howard Brown Rickard Scholarship is available for students who are legally blind in both eyes and currently enrolled or planning to enroll in a full-time program in engineering, law, medicine, natural sciences, or architecture. The scholarship is offered by the National Federation for the Blind. Applicants must participate in the complete NFB national convention and in all scholarship program activities. The federation awards 30 scholarships a year and individuals must apply by March 31. Application instructions and materials are available online at nfb.org/scholarship-program. how do I post funding opportunity for MS students at CU Boulder focused on smart grid? response: could you please submit another comment with the relevant information & our editors will add it where appropriate? do i have to be enrolled in a course or school to get a grant.. or can i get one. then enroll ? Does Computer Engineering fall under EE or Computer Science? Are there Engineering Grants & Scholarships for left-handed high school juniors that want a degree in engineering? I am 39 yrs old and have just earned an ASTD and am majoring in engineering are there any special financial grants for someone my age? are there any type of grants that help students who are trying to go to a trade school in arizona for AUDIO ENGINEERING? the school im trying to go to is called the conservatory of recording arts and sciences. im having difficulties finding grants. Does anyone offer a scholarship for biomedical engineering? I am interested in listing our DiscoverE New Faces College Edition 2015 scholarship on your website. Is that possible? How much would it cost? How long would the ad run? How far in advanced do you need all the information to post the scholarship? Thank you for your help with the matter.